The Whole Spectrum marks the debut compilation of Isotropic Sounds, a netlabel founded by Xhamanik Ritual, Crooked Mind & Abducted Brain all them from Costa Rica. This global compilation features menacing material from producers based in Macedonia, Cyprus, Costa Rica, Britain UK, Germany, Mexico, and U.SA.. 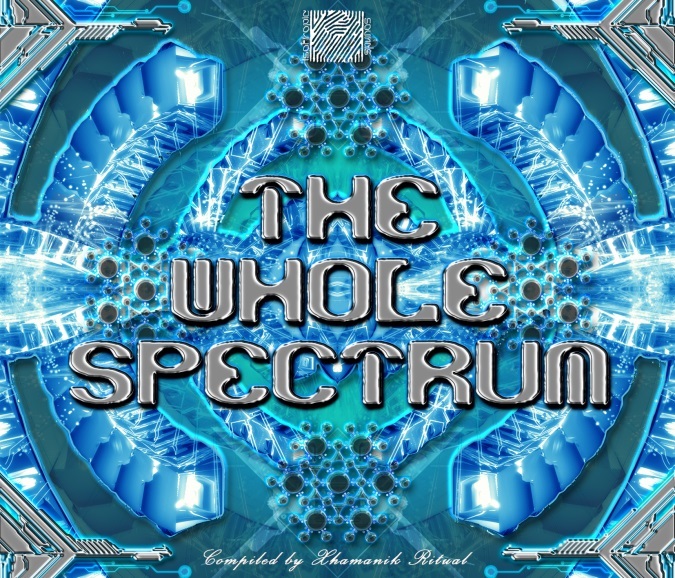 The Whole Spectrum emphasizes the dark side of psychedelic trance without being monotonous–it also contains some excursions into deeper realms of night music. 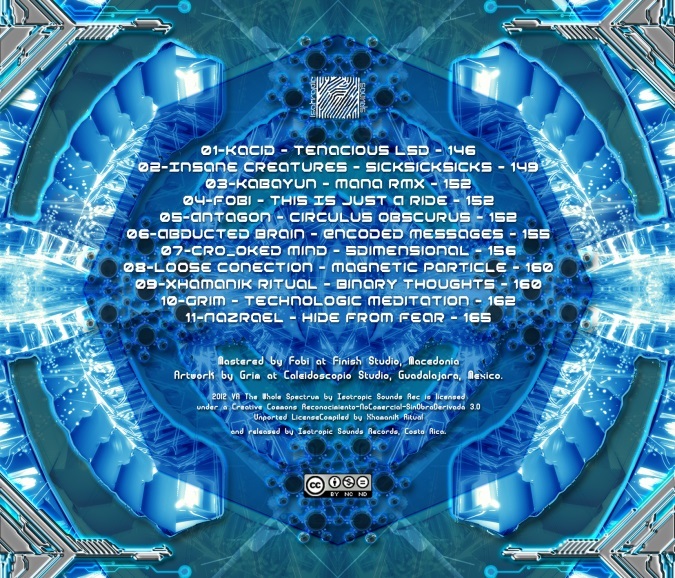 Through the use of twisted leads, brutal beats, and bleak atmospheric programming, this compilation explores the far reaches of the psytrance spectrum with some tracks approaching 165 BPM. Compiled by Xhamanik Ritual and released by Isotropic Sounds, Mastered by Fobi at Finish Studio Macedonia and artwork by Grim at Caleidoscopio Studio, Guadalajara, Mexico.